In a case of first impression, the U.S. Court of Appeals for the Ninth Circuit has found that a taxpayer "incurs" legal fees as required by Code Sec. 7430 even if those fees are paid initially by a third party and even if the taxpayer assumes only a contingent obligation to repay them. The decision widens a split among the courts of appeal over the recovery of litigation costs when a taxpayer's obligation to repay fees is contingent on the taxpayer's successful recovery of fees under the statute. "The Ninth Circuit opinion strikes the correct note in upholding the limited rights that taxpayers have in this area. A taxpayer who wins his or her case already faces significant obstacles in attempting to recover his or her costs in bringing the case," Larry Sherlock, partner, Chamberlain, Hrdlicka, White, Williams & Martin, Houston, told CCH. "Those obstacles (exhaustion of administrative remedies, substantial justification of the IRS's incorrect position, net worth requirements, reduced rate of recovery) were specifically placed in the statute by Congress and protect the IRS from having to pay fees except where its assertions have seriously prejudiced the taxpayer's financial position." The taxpayer and his former employer won a dispute with the IRS over whether certain loans made by the company to shareholders were taxable as constructive dividends. The Tax Court, however, awarded attorneys' fees to the employer under Code Sec. 7430 but not to the taxpayer. The employer had paid all of the litigation costs and the Tax Court found that the taxpayer did not "incur" any attorneys' fees under Code Sec. 7430. The Ninth Circuit disagreed with the Tax Court. When a third party who has no direct interest in the litigation pays fees on behalf of a taxpayer, the taxpayer incurs the fees so long as he assumes an absolute obligation to repay the fees, regardless of whether he or she successfully moves for an award under Code Sec. 7430 or a contingent obligation to pay the fees in the event that he or she is able to recover them under Code Sec. 7430. "Tax attorneys may in the future agree to be compensated solely, or partially out of the proceeds of attorneys' fees awards without worrying that their largess may itself result in no fees being awarded," Dennis Brager, partner, Brager Tax Law Group, Los Angeles, told CCH. Nevertheless, Brager warned that the Ninth Circuit ruling is not binding in cases where the taxpayer doesn't reside in the Ninth Circuit. "In the rest of the country the Tax Court may continue to follow its own prior ruling pursuant to the Golsen rule," he observed. The Ninth Circuit further found no "stand-in litigant" problem. In Code Sec. 7430 cases, the party seeking recovery has been selected by the IRS for audit, indicating that it was the government, and not the taxpayer, who initiated litigation producing the fees. There is no risk that an award of fees to a third-party would encourage unrelated third-parties to bring litigation against the government through "self-selected stand-in litigants." 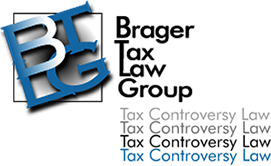 Brager further commented that it is noteworthy that the Ninth Circuit remanded the case to the Tax Court for further proceedings since it was unclear to what extent the employee had a legal obligation to reimburse his employer for the legal fees incurred. "Practitioners need to be careful when drafting retainer agreements to make sure that it meets the tests imposed by the Ninth Circuit," he concluded. References: FED (to be reported); TRC LITIG: 3,156.